If you are following our homeschool journey you know I’ve been on the lookout for some activities to go with our learning. One of the books we’re reading is The Boxcar Children. Let me just say, Nick and Luke are mesmerized with the characters of this book. In one of the early chapters of the book, the children find a patch of blueberries. They have a special treat one evening by serving blueberries and milk. Nick and Luke thought it would be fun to try since they love blueberries. Toss them in a large bowl. Pour the cream over the berries. We used heavy whipping cream. Yum! 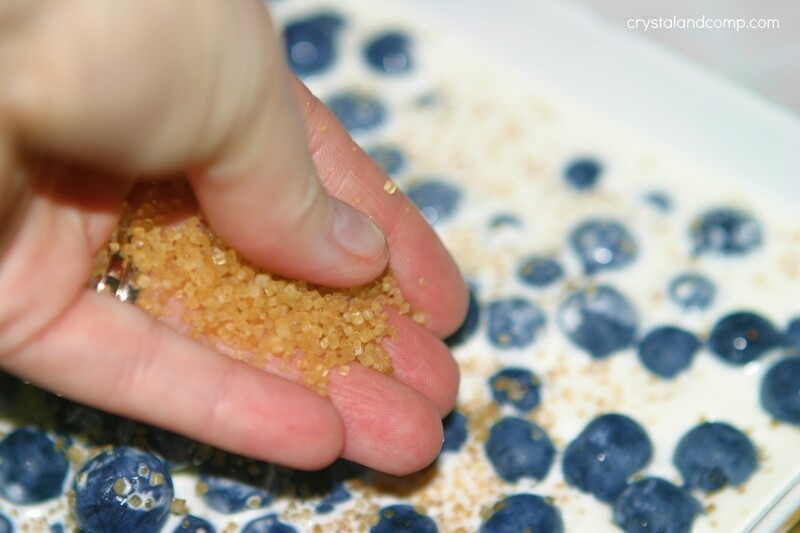 Sprinkle with sugar- about 1-2 tablespoons. I used raw Turbinado sugar leftover from some cupcakes I made a while back. Gently stir to mix the cream, the berries and the sugar. Serve it up into individual bowls and enjoy! 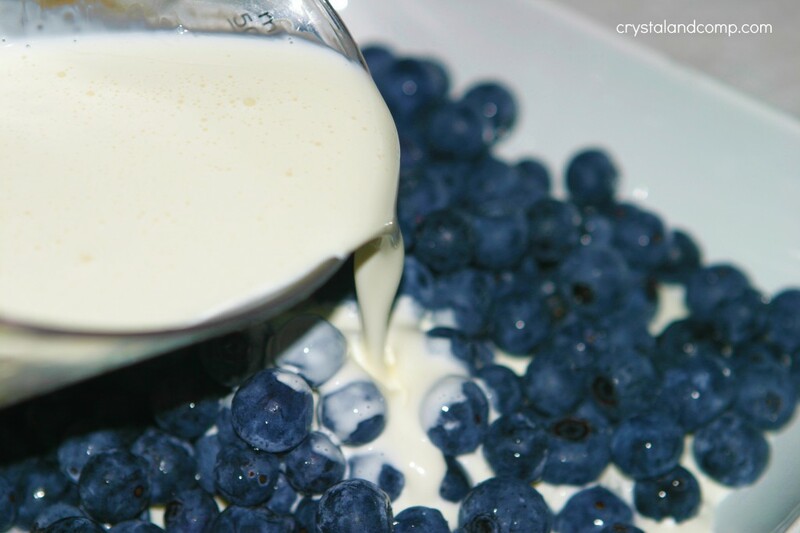 Your kids will love drinking the cream once they finish the berries. This is also delish with blackberries. 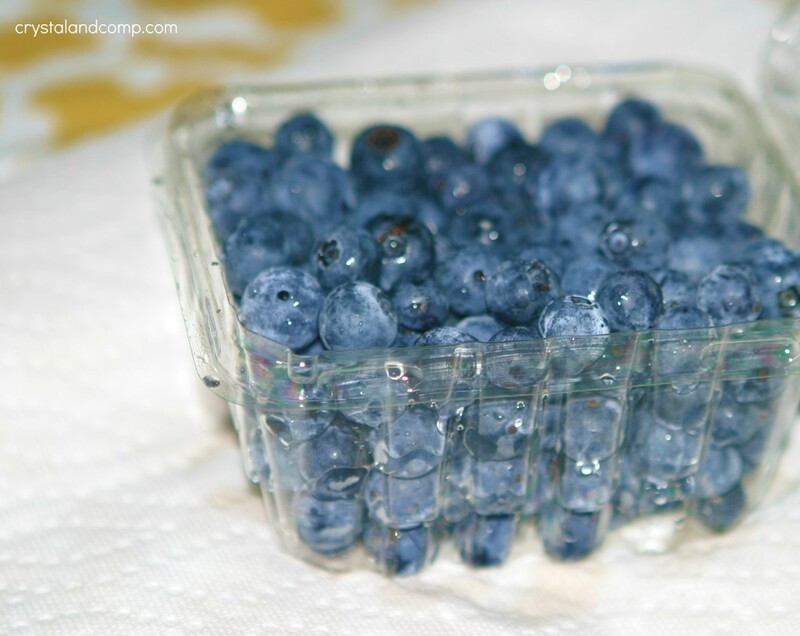 Clean your fresh blueberries. Toss them in a large bowl. Serve it up into individual bowls and enjoy! 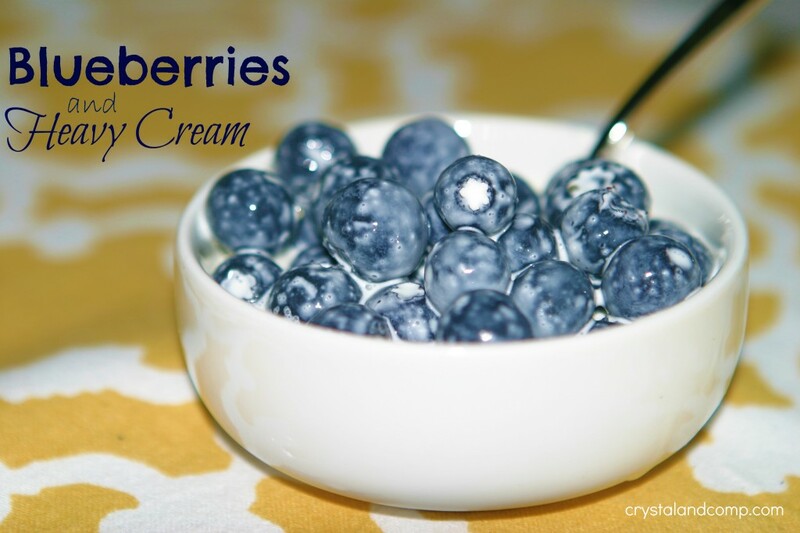 Your kids will love drinking the cream once they finish the berries. Blueberries always stay on the top of my list. Gratitude to you for sharing such a wonderful recipe. I will try that. It’s simple but looks delicious. The Boxcar Children was my favorite book as a child…I read it so many times! It’s one of the books I insisted my children read…and they loved it also. 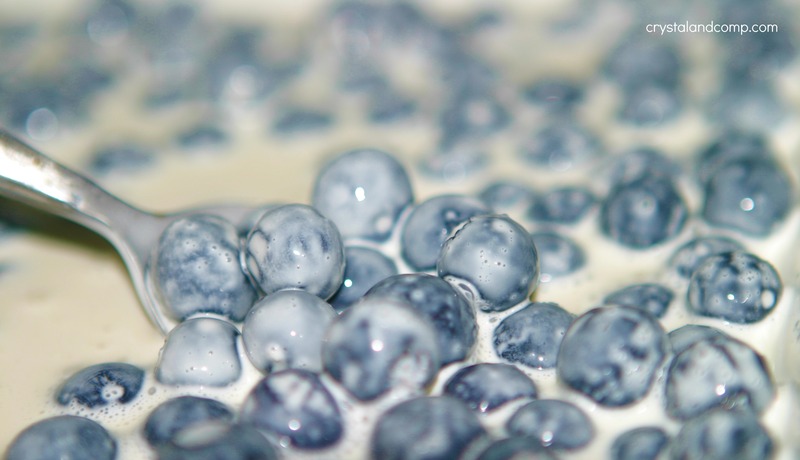 Blueberries and Cream looks delicious….I’m going to make it for my daughters. We’ve had bananas and cream…also very good! Yum..Everyone in my house would love this! 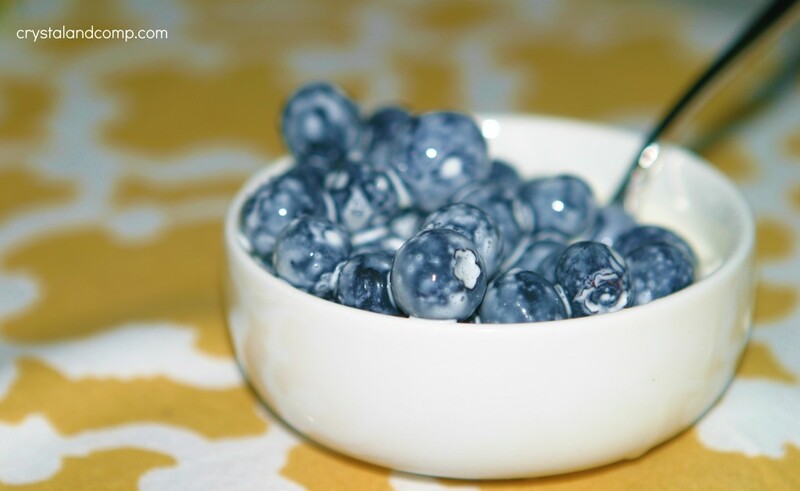 We love, love, love blueberries around here. Will have to try this out soon. I love simple yet healthy snacks. I often make this simple dish with frozen blueberries . It is amazing!! This is how we would eat fruit when we went to our mammas in the summer. Try it with plums too! Plums sound tasty! What a great suggestion. Simple and delicious dessert! Thanks for sharing! Just to let you know – your wonderful project was featured on homework today. Come on over and a grab a button. As always, thank you so much for linking up your project. Have a wonderful weekend! We have had the most beautiful Blueberries this year. I love your dish of berries, very simple and delicious! Hope you are having a great week end and thank you so much for sharing on Full Plate Thursday. Looks like my bowl of “cereal” from yesterday — only there were about 2 T of granola in that mix too 🙂 Yum!